Special guest stars Pentatonix (pictured at top. 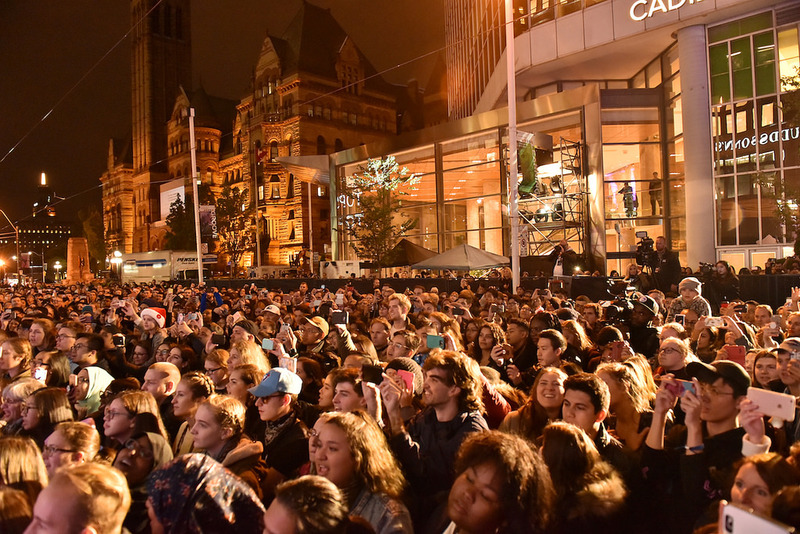 Photo by George Pimentel, Getty Images) helped to unveil the Holiday Windows in the heart of downtown Toronto on Thursday, November 2nd. 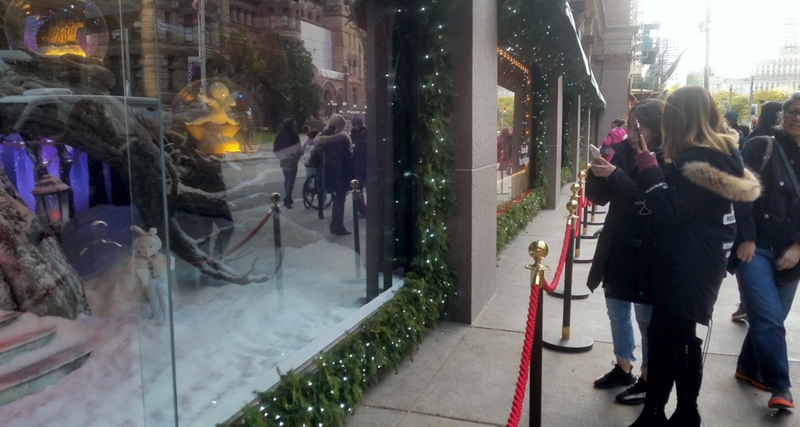 Presented by Cadillac Fairview and new for 2017, the series of scenes in the windows of Hudson's facing Queen Street West have been created based on a snow globe theme. 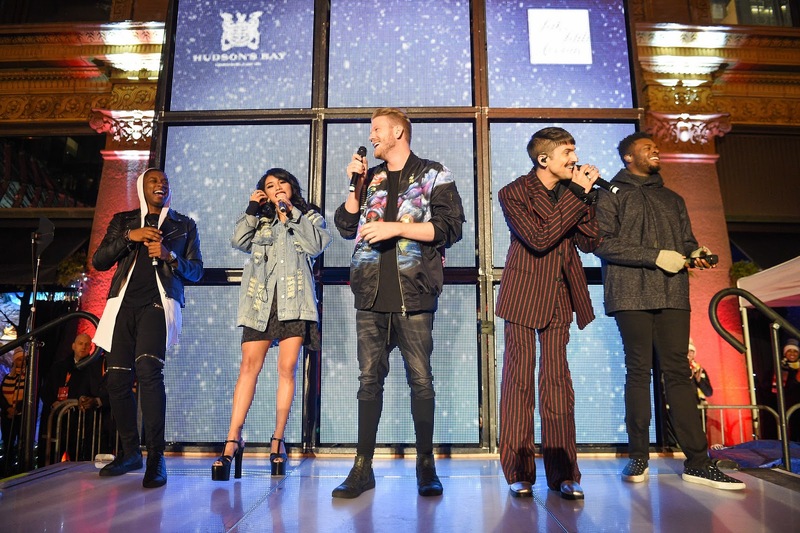 Pentatonix, the multi-platinum, Grammy Award winning musical group performed as part of the celebration with Alison Coville, President of Hudson's Bay and Tanya Kim as the host for the special night. 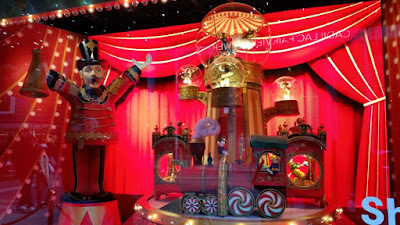 The previous animatronic Christmas displays have long been a staple for many holiday memories for families shopping and enjoying the festive season in Toronto. 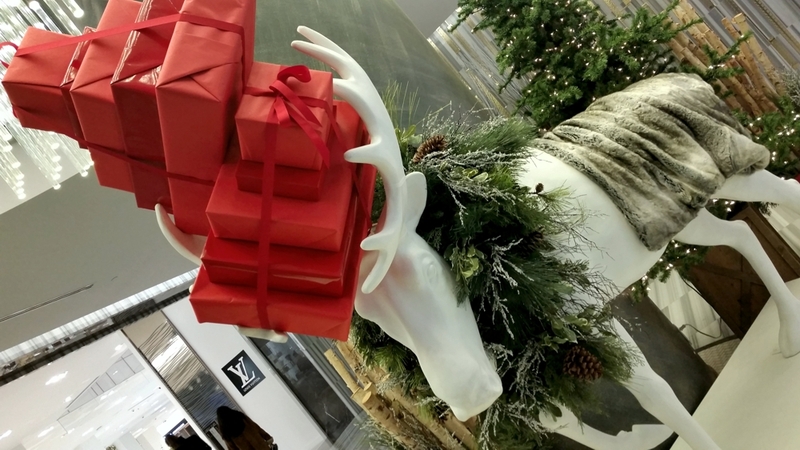 In 2016 Hudson's Bay and Saks Fifth Avenue introduced a new set of holiday scenes called the Enchanted Forest complete 34 hand-sculpted animals in a various winter settings. Mariah Carey was the special guest for 2016. 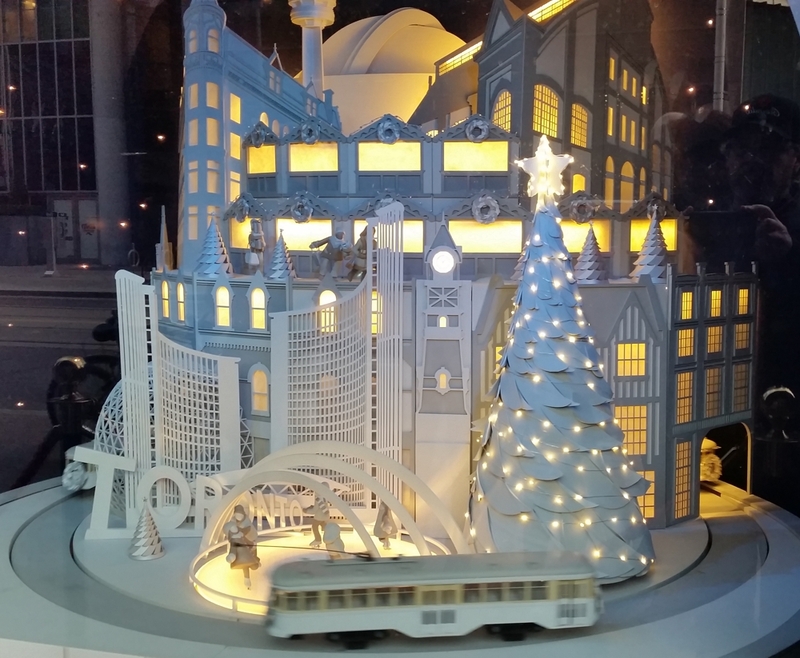 Hudson's Bay Shake Up Your Holidays 2017 window displays "designed to take bystanders on a whimsical journey as seen through the lens of enchanted snow globes. Each of the five animated windows boasts a unique scene, bringing viewers from the North Pole Arctic Adventures and Santa’s Magic workshop to Christmas in the City set in Toronto, with a few magical stops in-between." This year’s snow globe theme windows feature: Santa’s Magic: A modern-day Santa looks into his globe. 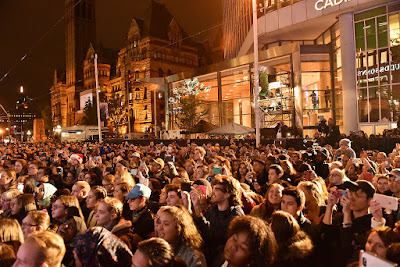 Arctic Adventures: Two polar bears meet for a celebratory high-five in an arctic scene, Winter Woodlands: A rabbit ventures toward a magical tree with woodland creatures, Holiday Circus: A vintage-style circus is conducted by the master of ceremonies and Christmas in the City: Starry holiday scene is set against Toronto landmarks. 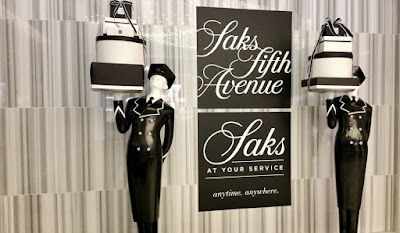 Saks Fifth Avenus also puts up unique holiday window fashion displays along Yonge Street and in 2016 had a land of 1000 delights which had a lot of candy in the clothes. 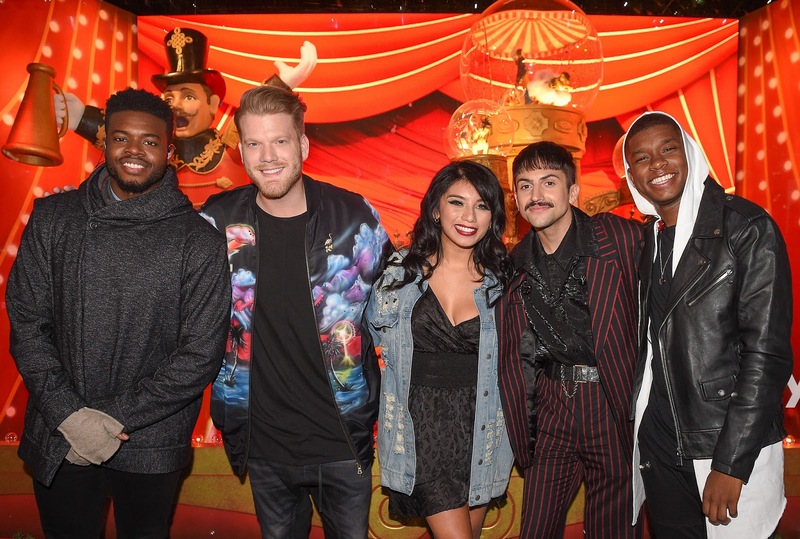 For 2017 they worked with Disney to celebrate the 80th anniversary of Disney's movie Snow White and the Seven Dwarfs. 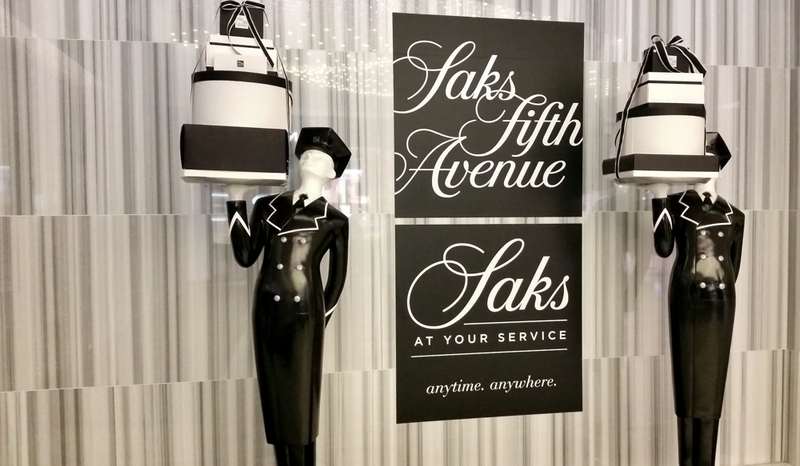 Costume designer Michael Southgate created five versions of Snow White's iconic dress set in an magical forest.